Doing the 28-Day Fast Metabolism Diet with Me! Unfortunately, I am not one of those lucky ladies who could go through pregnancy and still look like they are in their 20-years old body. During my pregnancy, I gained a total of 40lbs, which quickly disappeared 2-months after I’ve given birth. I attribute that largely to my continued work-outs during pregnancy (I’ll discussed that in more detail in a future post). That being said, nothing has been the same. Aside from the looser skin and the stretch marks; although the weight went back down but my frame has not (Yes.. it totally doesn’t make sense). Clothes just don’t fit the same way (if I am lucky enough to even fit in them…) and my self esteem is just down the drain. For the past 10 month’s I’ve been breastfeeding so cutting down on food was a big No-No (no food=no milk… plus I was ALWAYS hungry). Now that I’ve stopped breastfeeding, I could finally focus on myself again. About 3 years ago, I’ve been introduced to the Fast Metabolism Diet which was very different than all the other diets I’ve tried (i.e. no carbs, counting calories etc.). 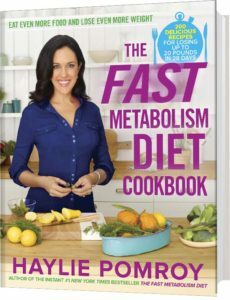 I am not going to get into the science behind it (you could read that up here https://hayliepomroy.com/books/the-fast-metabolism-diet/diet/) and just focus on the ‘user experience’. All the other diets I’ve tried are tough and I always quit midway because I felt deprived one way or another. At times, I would even dream about the foods I couldn’t have, and waking up feeling depressed and inadequate. When I get a cheat day, I would eat so much and so many prohibited foods because I was so limited during the diet. All-in-all, they were never successful experiences, or they never lasted. The FMD is different; at least from my experience. You eat SO MUCH FOOD and so often that at times I wonder if I could even finish everything on my plate. The only challenge with FMD is that it requires EXTENSIVE PLANNING. Every week, you go through 3 phrases which requires 3 very different and distinct menus. Of course, you could eat the same foods in the same phase in the following week (so planning the first round is the hardest), but if you don’t enjoy cooking, it could be a real challenge. The first time I did the FMD, I lost a total of 15 lbs in 28 days; and to be honest, I wasn’t even following the diet to the ‘t’. I will be starting a new round on Monday March 13, so if anything wants to join me and share this journey together, please follow this post as I will post my progress, menus, and answer any questions you may have along the way. I am no expert on the FMD, just someone whose done it and believe it really helped me. Exercise: Do at least one day of strength training (weight lifting) during Phase 2. Focus on lifting heavy weights and low reps.
All you really need is the Fast Metabolism Cookbook (unless you want to understand the science behind it). The cookbook has many recipes that are actually delicious. Just to name a few: the burger, the pasta and simmered tomato-meat sauce, and the sweet potato Sheppard’s Pie. It also covers what you could and couldn’t eat in each phase. You could order the book here https://www.chapters.indigo.ca. If you buy the app and use Pinterest for recipes, you could get-by without the book. 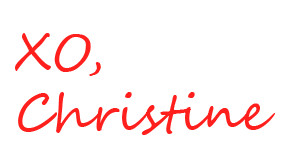 Join the Fast Metabolism Diet (FMD) Support Group on Facebook. There are tons of resources and people who actually live by the FMD rules which is great if you have any questions. Pinterest – You can find a ton of user recipes that looks good and tastes amazing. Just type Fast Metabolism Diet Phase 1, or Phase 2, or Phase 3 to search for these recipes. I use the Fast Metabolism Diet app to help remind me when to eat, drink water, and document my meals. It is also useful in determining what foods are allowed in which phase. This app is NOT free but very helpful especially for those doing this the first time.